Scones, Cakes and Biscuits - Food, Drink, Photography, and other things. I've taken advantage of being at home over Christmas and New Year and I've managed to try a few new recipes. We've got a lot of fruit in the freezer waiting to be used. 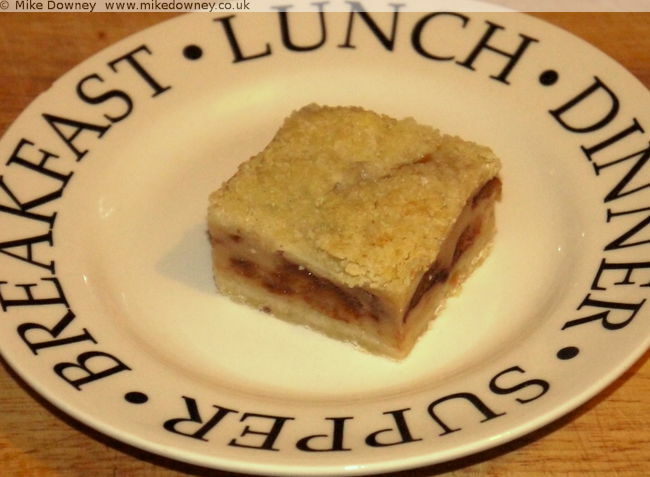 I was looking for recipes and adapted a blackberry slice recipe to use plums. When the plums defrosted a lot of juice came out so I strained it off and simmered it to thicken it. Sweet potato and cheese scones used up one of the sweet potatoes that have been sitting in the kitchen for a few weeks. They made a tasty lunch. 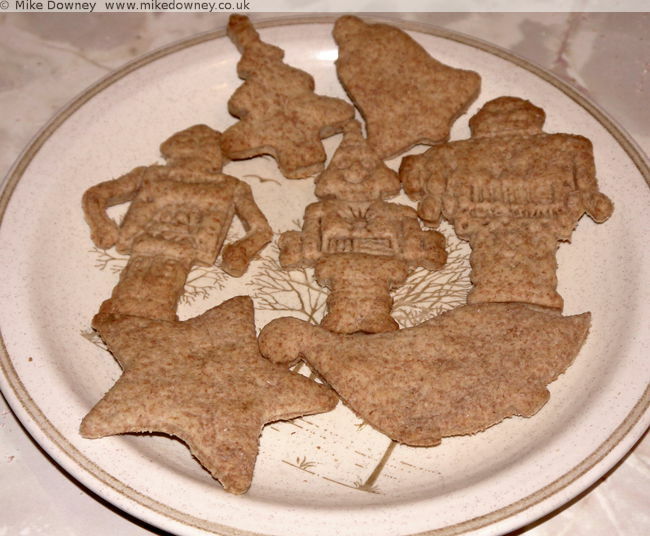 Spelt biscuits were made using spelt flour, bread flour, butter and fruit juice. I put some powdered ginger in to give them a bit more flavour. I haven't had time to do much baking recently. A few months ago I started a new job in Birmingham and by the time I get home, have tea and wash up, it's either too late or I'm too tired to make anything fancy. I have been making a 'no-knead' ciabatta style bread a lot since it's easy to make, only taking a few minutes to set up, then I can leave it to prove overnight. I use 3 plain flour, ½ of a heavy rye flour, any more rye and the texture comes out more like a regular bread (crumb-like) and less ciabatta-like (stretchy, full of holes). Everything goes in the food mixer and the dough hook is used to mix it all together for 10 minutes or so. The dough will be very wet and if any rye flour was used, it might also be quite sticky. If I mix the dough in the morning, I then transfer it to a oiled bowl to prove for a few hours. If the dough is very soft, it might need to be baked in a lined tin, otherwise it can go on a baking tray. In either case, I dust the tin with cornmeal. After transferring the dough to the tin I leave it to prove a bit more (sometimes overnight in the fridge). Start baking at gas mark 7, then after 10 minutes turn the oven down to about gas mark 4-5 then bake for a further 30-45 minutes, depending on the shape of the loaf. This is actually being uploaded the same day as the Nottingham Apple Pudding (5th February 2015) but is being back-dated. 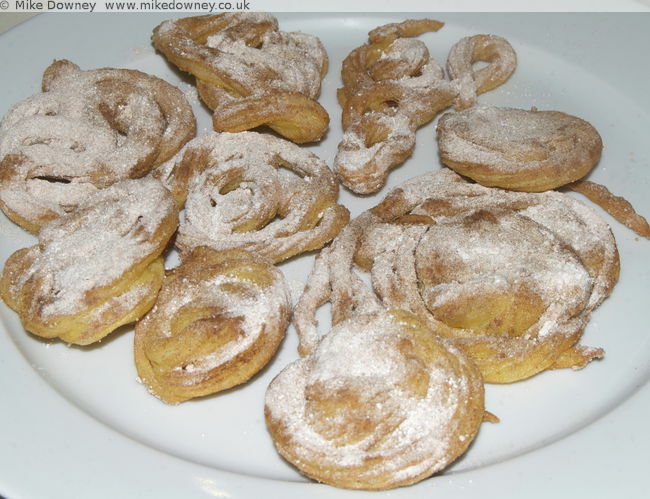 I found the photos of the funnel cake on my camera but didn't get around to copying them off at the time. I had forgotten we had made them and when I saw the thumbnail images on the computer screen, I couldn't work out what they were until I zoomed in. I think this is the recipe we followed, where the batter starts of a bit like a hot water pastry made with butter, then has eggs added to make it more pourable. Althoug I lived in Manchester for 3 years, I only remember Manchester Tarts from school dinners. The version we used to have was similar to the one given here, with a pastry base topped with jam and set custard, with coconut sprinkled on top. 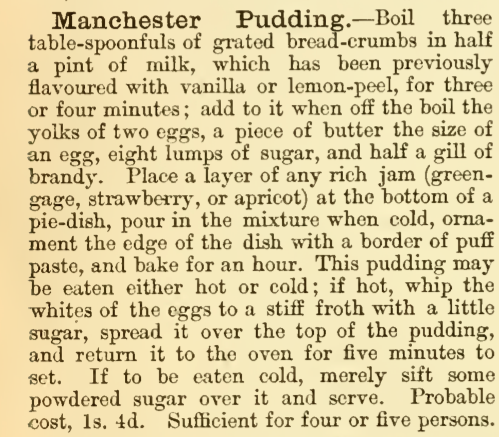 I have decided to go further back in time and cook a Manchester Pudding which appears to be an older version of the dish. A lot of old recipes (such as the one from Cassell's Dictionary of Cookery and Mrs Beaton) use puff pastry then jam and custard. Most modern variants have the custard on the bottom then jam then meringue, which is what I have done here. Warm ½ pint of milk with 25g of sugar, 25g of butter and a few drops of vanilla essence. Add 50g of breadcrumbs and simmer for a couple of minutes. Beat in 2 egg yolks and pour into ramekins or a pyrex dish. If using ramekins, put them in a tray with some hot water in the bottom. Bake at gas mark 4 for around 30 minutes (or 45 if doing a single dish). The tradtional way is to let the custard cool then spread jam over the top. We had half a jar of cherry coulis so I stirred in a teaspoon of arrowroot to thicken it then poured it over the custard. I whisked the 2 egg whites along with 100g of icing sugar and a pinch of cream of tarter, until the whites had increased in volume and gone thick enough to form peaks without collapsing. 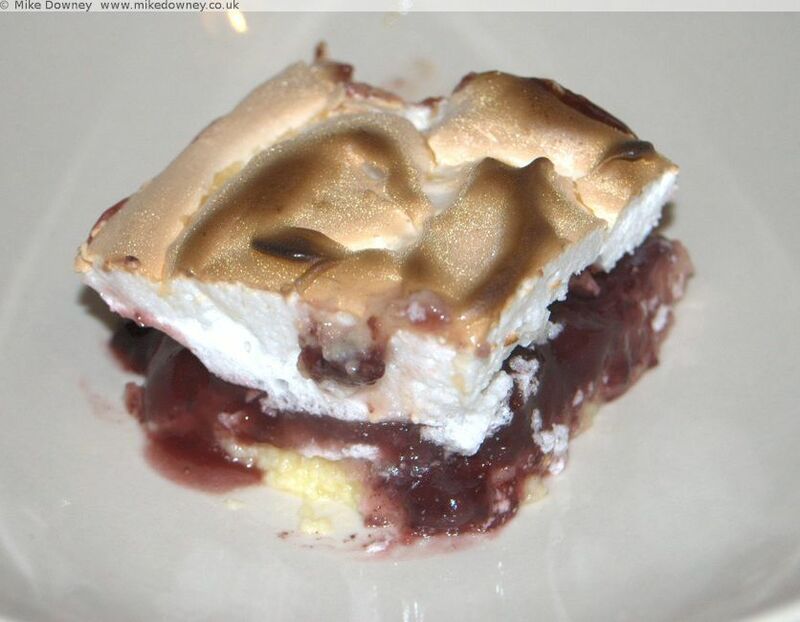 I spooned the meringue over the fruit layer then baked at gas mark 8 for 10 minutes. The flash had made the meringue look like it has some kind of gold glitter on top. The custard layer at the bottom was a bit soft: maybe an extra egg or more breadcrumbs might have helped. Apart from that the taste and texture were pretty good. I have previously mentioned using the Clahe plugin in ImageJ/Fiji to create a sort of pseudo-HDR image from a 16 bit image from a digital camera. I set the camera to record a raw image at low contrast to attempt to record as high a range of intensities as possible, then use Clahe to increase local contrast while retaining detail in highlights and shadows. I recently installed pfstools which includes a lot of command-line tools to convert images and generate HDR images. I thought I would look into whether I could use these tools with RAW images from the camera. When the image has been converted into a suitable HDR format, the different 'tone mapping' commands can be tried to see which ones produce a pleasing result. It can actually be quite difficult getting the balance right between retaining detail and producing an 'over-processed' image which looks too obviously like an HDR photograph. Simply taking the 16 bit RAW file and adjusting the contrast to show the full range of intensities can result in a flat looking image. The same image, processed using the Clahe plugin in ImageJ, to retain shadow and highlight details while maintaining good contrast. Using pfstools tone mapping to increase local contrast and decrease the dynamic range. Pfstools offers several different ways of converting the HDR file into a 256 bit colour image and a bit more trial and error may be needed to get a good result. 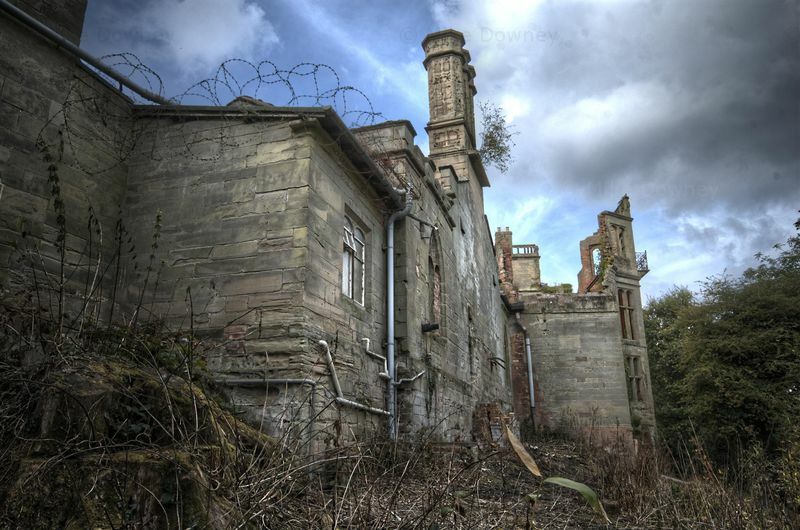 Classic HDR photography usually takes a bracketed set of exposures and combines them to produce an image which retains detail in the shadows and highlights. Normally this needs a tripod to ensure the images can be combined without any pixel shift between them. Sometimes it isn't possible to use a tripod, especially if taking a photo in a confined space or a building where they are forbidden. A lot of HDR generating software includes some form of image alignment which can be used to overcome a certain amount of camera movement. Most of the time this seems to work quite well but every now and then, especially if you are using a lens with a lot of distortion such as an ultra-wide, a simple alignment won't work because the distortion stretches out different parts of the picture by different amounts. Several months go I encountered a piece of software called LensFun which a library of functions to correct for lens distortions. There is a Gimp plugin based on it (GimpLensFun) which is readily available for Linux and Windows and is part of the Gimp distribution available from the Gimp on OSX project at Sourceforge. The 'batch process' function of Gimp can be used to apply the correction to a series of images which can then be used to generate an HDR image. A single exposure is insufficient to capture the dynamic range of the scene. Combining the corrected images increases the dynamic range. When I began this A to Z of regional baking, I started to look for recipes named after places I knew or had been to. When I was looking for recipes for the letter L I found this and Lincolnshire Gingerbread. The latter is a recipe from Grantham, which we visited last year on our way to Skegness, but since I grew up on The Wirral and we would occasionally go shopping to Liverpool, I thought the more local recipe might be a better choice. When I found this recipe, I thought I should give it a go. It's not as well known as the Manchester Tart - apparently the recipe was recently rediscovered in a hand-written recipe book. 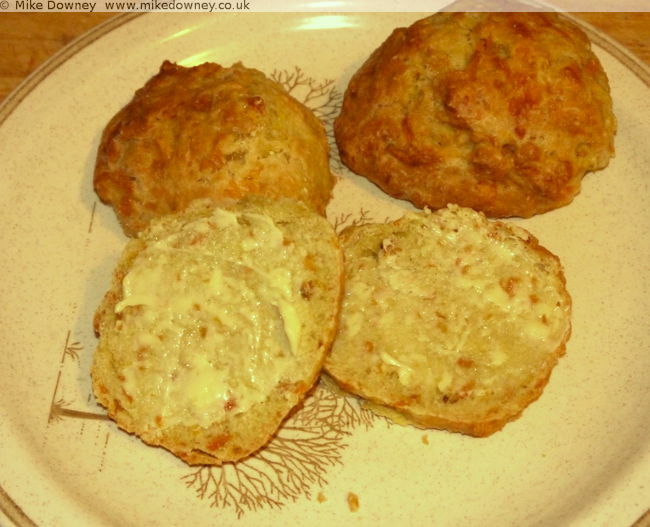 The original version of the recipe was published in a village newsletter (orignal web page no longer available but is archived here and is reproduced below). Put the butter and sugar into a moderate oven to melt. When melted, let it cool. Boil your lemon whole very slowly (or it will break) until quite soft. Mince it whole as it is, saving the juice as much as possible and taking out the pips. Mince very fine. Beat the egg well. Mix all well together. Line a flat open tart dish with good paste [ie. pastry] and pour in the mixture to one uniform thickness (about ½ an inch), cross bar over and bake. Serve hot or cold. One lemon with (most) of the pips remove - see below. I melted the butter, stirred in the sugar, blitzed the lemon in the food processor, then when the butter/sugar mixture had cooled a bit I mixed everything together. I didn't blind-bake the pastry but poured the mixture in before cooking at gas mark 5 for 22-25 minutes. 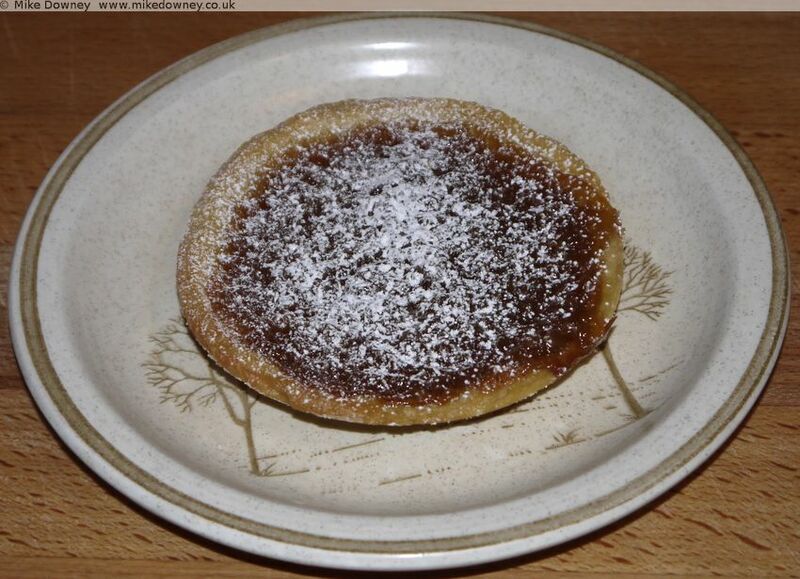 The resulting tart is a bit like a softer version of a treacle tart. The filling was a bit sticky with a few crunchy bits: the lemon had lots of pips. I chopped it up before liquidizing it, and there were were several pips in each piece. 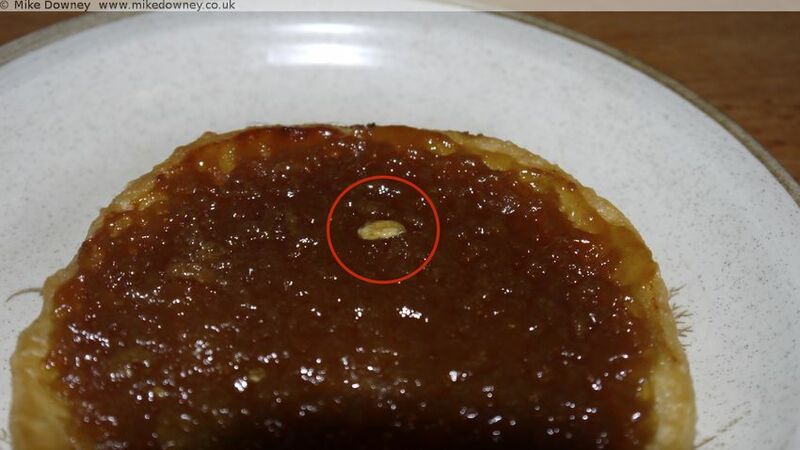 There is an interesting discussion on the history of the Liverpool Tart in the PDF available from www.gerryjones.me.uk. 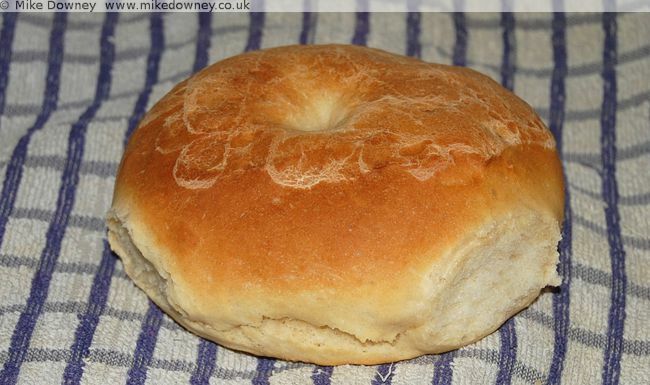 Apparently several bakers in and around the city have started producing them. The Heritage Open Weekend continues and we visited another site this morning, again choosing one we hadn't been too before. 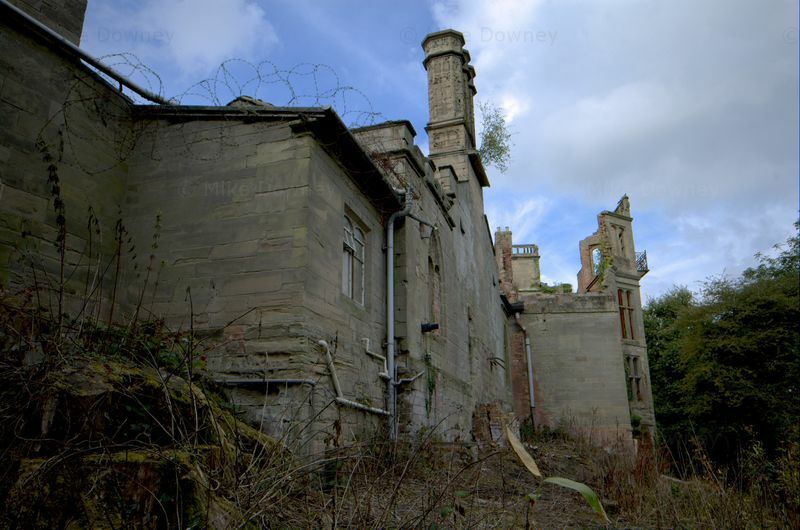 I originally thought that Guy's Cliffe House, at Warwick, was just a ruined building to look at but there was more on site, including a medieval church which is now a masonic chapel, and various other pathways and passages to walk through. The Heritage Open Weekend is here again. The weekend actually started yesterday but we normally only go anywhere on the Saturday or Sunday. This time we actually went somewhere on the Friday. Astley Castle near Nuneaton has recently been renovated and turned into an expensive holiday home. 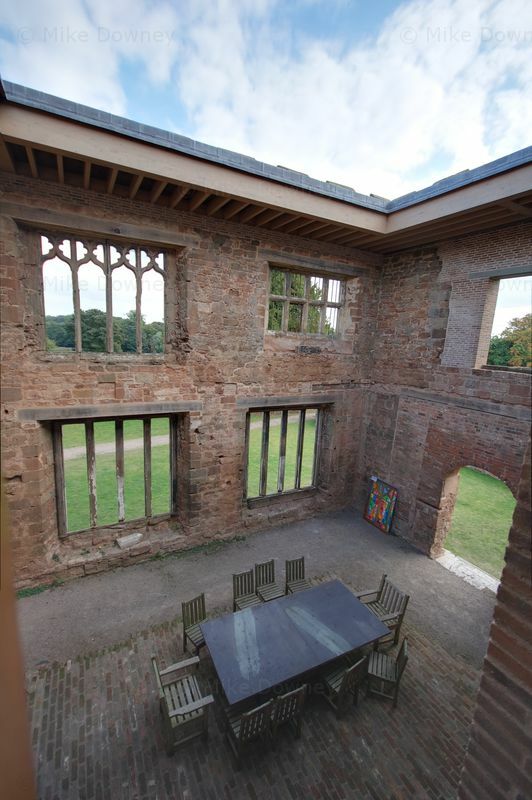 The open weekend would probably be the only chance we would get to see inside so we thought we'd be silly to miss out. Despite this recipe being named after Bakewell, this is nothing to do with my A-Z of Cakes since the cake is really named after the Bakewell Tart and not the town itself. The 'genuine article' is the Bakewell Pudding, not the pastry based tart you can get in the shops everywhere else. We first cooked this cake a few years ago, following a recipe we cut from a newspaper. 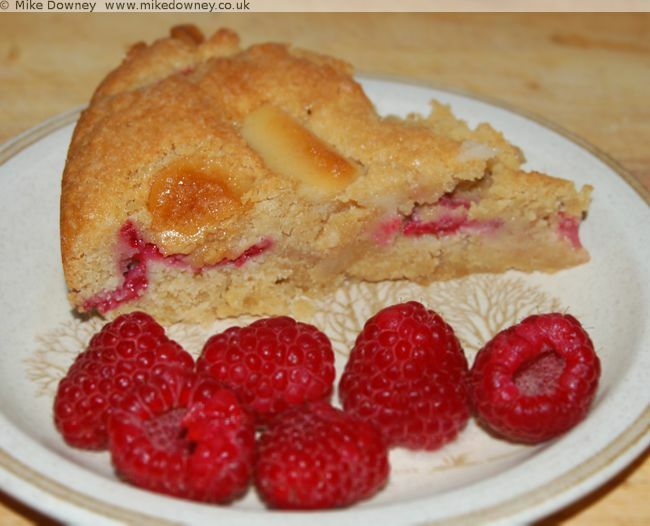 An almost identical recipe features on the Good Food magazine site but uses more raspberries than the one we followed. Our main change was to use diced marzipan in the middle layer and also on top instead of flaked almonds. The resulting cake is soft, moist and delicious. This is a recipe we've been thinking about doing for a while, ever since we first read about it. It's a similar idea to the picnic loaves which are a cross between a sandwich and a stuffed loaf. The first step is to make the pasta sauce. We often do a 'meat sauce' in the pressure cooker, simply putting chopped vegetables (such as onion, pepper, courgette, leek, garlic) in the pan along with a tin or two of tomatoes, some herbs and seasoning and a packet of mince. The lid goes on the pressure cooker and the sauce is cooked for an hour or so. The next step is to make the dough. For this I used my normal 'mostly white' loaf, using milk instead of water, and making the dough slightly softer than normal. 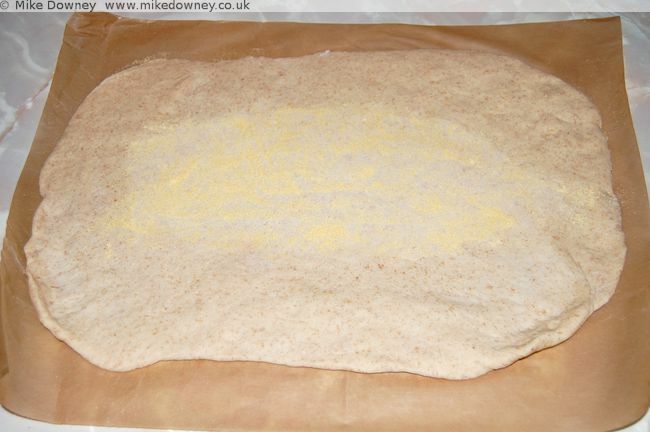 Roll out the dough and sprinkle some cornmeal in the centre (this helps stop the bottom going soggy during cooking). 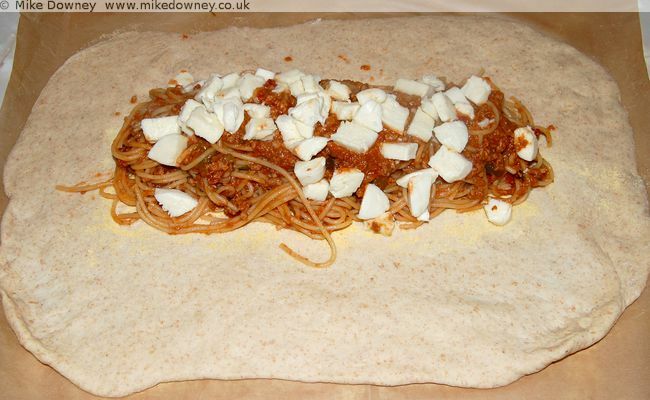 Mix the cooked spaghetti with the sauce and spread over the dough. Dot the pasta with diced mozzarella. 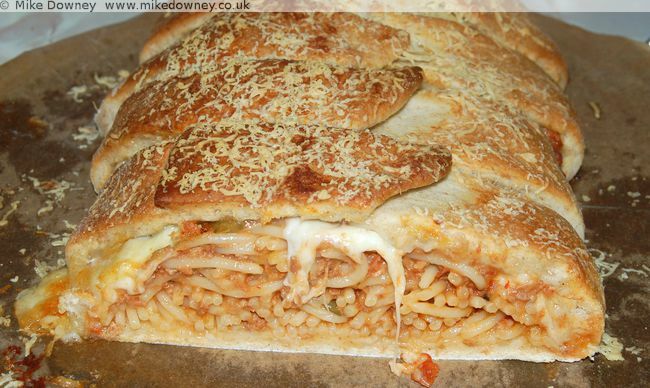 Cut slits in the dough, going outwards from the pile of pasta. Fold the slits over to approximate a 'plait'. There was spare dough at the edges which we used to make doughballs. Brush the loaf with melted butter and cover with grated cheese (such as parmesan or pecorino). Bake at gas mark 4 (180C) for half an hour. I assembled the loaf on some baking parchment and transferred it to a pizza stone to cook. The loaf came out well, with no sign of a soggy bottom. I was surprised by how straightforward this was to make. The 'meat sauce' is something we regularly make and often have in the fridge or freezer. The bread dough is quick to make and just needs to be left to prove for a few hours. This has spurred me on to try other stuffed loaves. A couple of years ago I made a macaroni cheese pie (inspired by a pie we bought while out at a country show) so I think a macaroni loaf would work well. 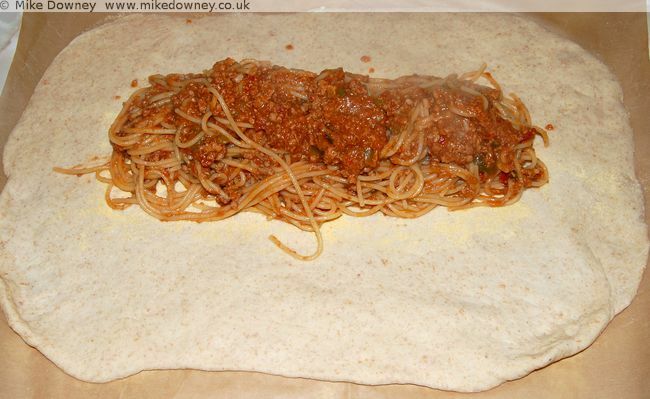 The cheese sauce would have to be quite thick but I can't see why it wouldn't be as good as the spaghetti loaf.